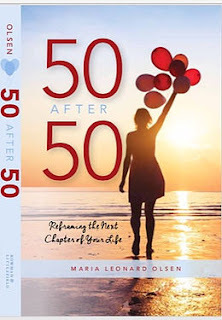 Maria Leonard Olsen is the author of the new book 50 After 50: Reframing the Next Chapter of Your Life. 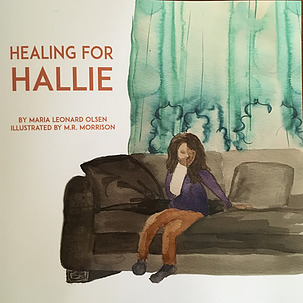 Her other books include Not the Cleaver Family and Healing for Hallie, and her work has appeared in a variety of publications, including The Washington Post and Washingtonian magazine. 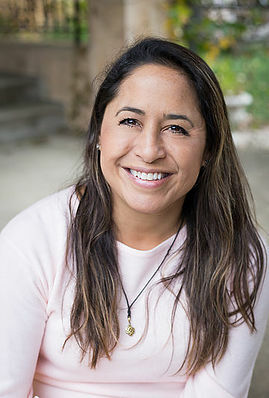 She is an attorney, public speaker, and radio host. Q: How did you come up with the idea for 50 After 50, and how did you decide on the list of 50 items to include? A: At age 49, I had become sober and separated, and was on the cusp of becoming an empty-nester. I was feeling rudderless and somewhat fearful about the future. A friend asked me what I was doing for my 50th birthday and suggested I try 50 new things. It was a lightbulb moment. I was able to reframe my newly single status with fewer familial responsibilities as one ripe with possibilities. The first thing I did was put my belongings in storage and travel to the other side of the world to volunteer at a school in a very remote part of the Himalayas. I was seeking more gratitude in my life for what I had, instead of lamenting what I had lost. The trip emboldened me to try many new things and to change my life to cultivate more joy. The list of 50 evolved and included physical challenges, spiritual endeavors, thrill-seeking, learning new skills, travel and changing my lifestyle. I wanted both to push my comfort zone and to feel lasting serenity and purpose by making some radical changes in my life. Q: The book includes a great deal of information about your own life, some of which involves difficult experiences you’ve had. How hard was it to write those sections of the book? A: It was cathartic to write, but difficult to submit for publication. I am a big believer in journaling as a processing tool. Much of what is in the book came from my journals. When the book was published, I felt a twinge of anxiety about having been so self-revelatory. But if my book helps others, which I believe it already has, then it was worth it to expose secrets I had guarded for so long. However, I wanted to protect the privacy of others who do not quite "live out loud" like I do in this chapter of my life. I showed my mother every page of the manuscript that mentioned her and she asked me only to consider leaving one thing out until after she dies. It will be the subject of a future book. A: I hope readers will think hard about how they are spending their time. Time is the one thing we cannot buy or get back, if poorly spent. In our society, we generally are careful of how we spend our money, but not as mindful about how we spend our time. And when we pass age 50, actuarially speaking, we are in the third third of our lives. I want my readers to drink fully from the cup of life, while they still can. Q: Who do you see as the ideal readership? A: Generally, the book resonates most with those approaching 50 and those in their fifth decade. The head of my daughter's high school bought 10 books for her friends who are turning 50 this year. For the younger among us, the book reads like a compendium of things I wish I had known earlier in life. For all readers, it can serve as a wake-up call. It has ignited action by many friends and acquaintances. It makes a great gift! 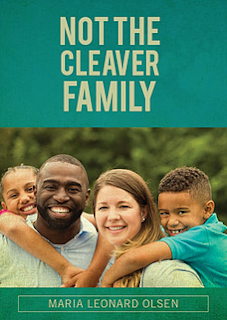 A: I recently was given a free DNA testing kit for speaking at a diversity conference. The results were astonishing. When I share my story about what I learned about my ancestry, I usually hear more interesting stories about DNA test revelations. With the increasing accessibility of over-the-counter DNA test kits, more people are receiving surprising results. I am writing a book on such stories and the effect the results are having on families today. A: I have an eight-city book tour scheduled, with more events frequently being added. I very much enjoy visiting book clubs and speaking with people who seek to be the best versions of themselves that they can be. Check out my website for more information or to get in touch with me to speak at your club or group's meeting. --Interview with Deborah Kalb. Here's a previous Q&A with Maria Leonard Olsen.